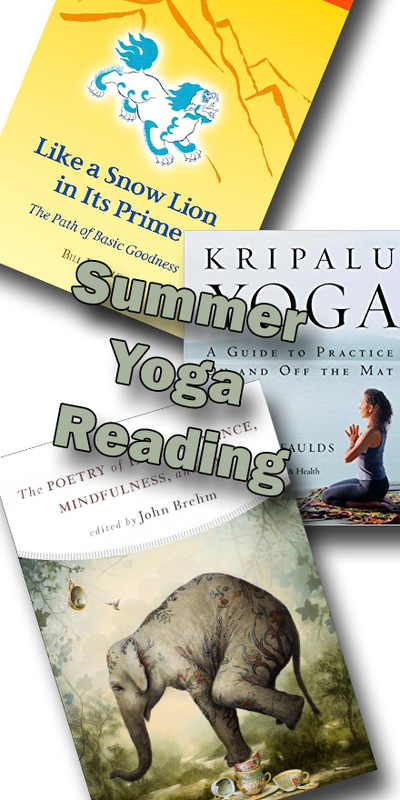 Summer Yoga Reading Plus Giveaway! 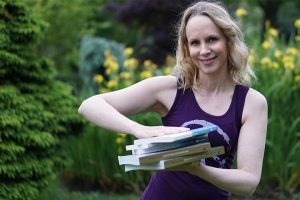 Today I am going to share with you 6 yoga and meditation related books that I want to read this summer. Now this book is not going to be released until July 21, 2017, but a book that speaks about the goodness in our bones and our heart that is inherent to us all is definitely on my must read list. I, have high hopes for this book and the way it promises to experientially open us to our goodness through landmarks of our journey, our trials and tribulations and the resulting insights. I look forward to exploring this book that talks about how we grow from the inside out. The description of the book states The poems expertly gathered here offer all that one might hope for in spiritual companionship: wisdom, compassion, peacefulness, good humor, and the ability to both absorb and express the deepest human emotions of grief and joy. The book includes a short essay on “Mindful Reading” and a meditation on sound from editor John Brehm—helping readers approach the poems from an experiential, non-analytical perspective and enter into the mindful reading of poetry as a kind of meditation. The Shambhala Principle: Discovering Humanity´s Hidden Treasure — This is a book that I bought three years ago and I have dabbled in, but I have never read all the way through. It continues with the theme of basic goodness that I started with at the beginning and talks about how our basic goodness can instigate our own personal and social change. So juicy. This next one falls under, huh! I actually own that book? Kripaulu Yoga. The lineage of yoga from which I gained my yoga teacher training had its roots in Kripaulu Yoga and so I look forward to going back into this book and exploring what it has to offer. Finding Freedom in Illness A Guide to Cultivating Deep Well-Being through Mindfulness and Self-Compassion. As somebody who lives with chronic migraines, this book just had me from the first chapter: you are not wrong for being ill, then from self blame to self kindness, meeting the dark emotions, allowing for deep rest, relating to pain and at the heart of the relationships are some of the chapters. The author Peter Fernando clearly knows what it is to live with chronic pain and illness. The Meditator’s Dilemma by Bill Morgan speaks to the powerful outcomes that are possible through meditation that are being missed in our hyper, instant gratification culture. I appreciate the way he is addressing meditation for a Western student body. And then one more book to connect with my indestructible goodness and enlightened nature. You are Not What You Think by David Richo. One of the greatest awakenings on the meditating path has been the awakening to my ego self and all the ways it plays out in my life. In this book David teaches that we are not what we think, but so much more. I appreciate how he goes through relationships, childhood, fear, defining and befriending ego. The final book I want to read this summer is Brightening Our Inner Skies: Yin and Yoga by Norman Blair. I´ve had this book for quite awhile thanks to Anita Goa who teaches at the same studio as Norman Blair. She sent me a signed copy from Norman. I also received a copy from Norman´s publishers and plan to do an interview with Norman when I get back from my silent retreat in June. Brightening Our Inner Skies explores yoga, self-transformation and social responsibility. It has suggested yin sequences and includes lots of photos, stories and also Norman´s own personal journey. I actually have an extra copy of this book that I would like to giveaway today. 3. Let me know in the comments on my Yoga Lifestyle with Melissa channel what book or books you want to read this summer. It doesn´t have to be a yoga or meditation related book. Contest Closes Wednesday June 21, 2017. If you like reading then be sure to join our membership community. We always have a super special book on the go with support and bi-weekly reflections chapter by chapter from our book club leader as well as ongoing discussions with our members.